Another year, another review of the annual travel show that we attend! Once again, Destinations: The Holiday and Travel Show was a great success. Travel and Leisure Group always welcome the opportunity to meet timeshare owners face to face. It gives us the opportunity to explain how we operate and what services we can offer. We find that many timeshare owners are not aware of timeshare resellers and don’t know that there are resale options available to them. 2017 was the latest in a long line of years we have exhibited at The Destinations Show. We regularly meet familiar faces. We also meet resort representatives, with whom we have been able to build good working relationships. Read more about why this is important to us HERE. 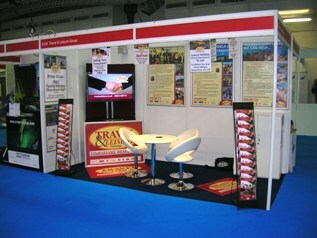 Our dedicated stand has both visual imagery and information boards which explain our services. Any timeshare owners can find out exactly what they offer before even approaching the stand! Our experienced staff are always available to sit down with owners and talk to them. Alternatively, we offer information packs to take away so that they can contact us at a later date. We also produce a specially designed client stock brochure which is packed with properties and company information. Furthermore, it includes details of our yearly special exhibition prize draw, which is open to anyone who comes to the stand and takes a brochure. This prize draw is a big “Thank you!” from Travel and Leisure Group to anyone who takes the time to visit us. This year, our prize is better than ever: a week at Thurnham Hall in 2018. The draw for this will take place on 1st December 2017. Make sure to keep hold of your brochure, and look out on our website for the winning number in December! As always, if you’d like more information about selling your timeshare, contact us today. We can offer impartial advice on getting the best price possible. Alternatively, take advantage of our incredible deals and make your next holiday investment! Travel and Leisure Group: matching people with places with pleasure!